Understanding the when and the why of county creation is essential in your research. When includes knowing not only the date a county was formed, but also from what county(-ies) it was formed, and what county(-ies) were formed from it. This keeps you from doing such silly things as, say, looking for Hamblen County court records from the 1850s. Why includes, well... almost everything you can think of, from terrain to politics, as it's all factored in. 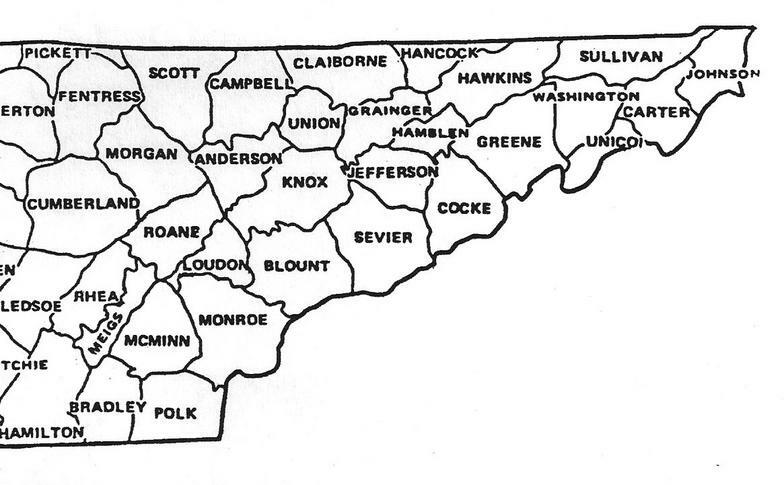 Especially learn all you can about the geography of East Tennessee and how that influenced migration patterns.